Sintel Systems makes leasing or financing your POS system easy. Sintel Systems POS offers a wide range of leasing and financing options depending on customer needs. We have shorter term 0% financing options to longer-term lease options that allow you to keep the equipment at the end while enjoying the benefits of leasing. Please fill out the form below for quick approval. You can also complete the paper application and send it to us. 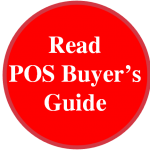 Want to know more about the options before proceeding, please call us at 855-POS-SALE. International customers see contact information here.